Buying a property is one of the biggest purchases that most people will ever make. While most of the niceties of searching for the ideal property are well known to most, there is often a lacking in understanding when it comes to securing the mortgage for a property. In this guide we tell you everything that you need to know about mortgages: what they are; how they operate; and how they affect you and your property. What should be considered when thinking about applying for a mortgage? Do I need to get advice on mortgages? What are the legal consequences of having a mortgage? Can my property be repossessed? Relatively few people will be able to buy their home with their own personal savings. If you do not fall into this category, then you will likely need to look elsewhere to secure the funds to make an offer to buy a property. In most cases, this involves people approaching lenders (in most, but not all cases, this will be a bank), and asking for a loan of money in order to buy a property. If a lender decides to grant you the money then you will be able to buy the property, however, the bank will hold a legal right of security over the building until you have completely repaid the loan. This exchange of money for a right in security is what a 'mortgage' is. You will need to repay the money that a lender has given you within an agreed time frame. If you fail to honour your repayment obligations that will be set down in your mortgage/ loan agreement, the lender in question will be able to take legal possession of your property and sell it, in order to recoup some (if not all) of the money it originally loaned to you to buy the property. How much money do you think you want to give as a deposit on a property? Lenders are unlikely to give you the complete value of a property in a loan. Therefore you will need to consider how much of the price of a property you will be able to contribute yourself. Keep in mind that the larger the deposit you are able to pay, the lower the mortgage you will need from a lender – and the lower the monthly repayments will be. How much do you want your mortgage to be? In practice most people will be permitted to borrow up to three times their annual salary. However you should think carefully of taking the maximum loan possible from a lender, and be sure as to whether or not you will be able to meet the monthly repayment obligations. Keep in mind that the limits on how much you can borrow from a lender in order to buy a property will vary, according to whether you are applying for a single or joint mortgage. At any rate regardless of the value of the property in question, a lender will consider (i) the salary of applicants; (ii) the value of the property; and (iii) its confidence in their ability to repay the mortgage in deciding on a mortgage application. Repayment mortgages – these are the most common kinds of mortgages where you will pay interest and part of the capital sum you were originally loaned every month. These tend to last for up to 25 years, and after this time - assuming you have kept up with the repayments - you will own your home. Interest-only mortgages – this is a slightly less common, but not completely abandoned kind of mortgage. You will only be required to pay interest on the loan that you have with a lender, but nothing back in terms of the capital. You will however put money into a specialised savings vehicle which, after a period of time, will be used to pay-off the capital sum. You should be aware that in recent years, lenders have become less inclined to offer interest-only mortgages. The lessons learned following the UK's economic struggle in previous years has taught lenders to be wary of offering this facility for fear that people will not be able to pay off the capital sum. You should also be aware that a mortgage may be either a 'fixed interest' or 'variable interest' rate mortgage. Whether the loan you take from a lender falls into one category or another could have implications for the interest that you pay on the loan. Mortgages are very complicated, and will likely be one of the most important financial decisions that you will ever make. On that basis, it is advisable to take advice either from a mortgage advisor or from a lender, about what mortgages are available and what would be suitable for your needs. Most lenders, in practice, do offer advice in respect of mortgages: they will offer a mortgage that reflects your financial situation. Furthermore, by taking advice, should you find that the mortgage is not suitable later on you will have more legal rights in terms of complaining to a lender that their advice was not appropriate/ correct. It is also wise to do some research on your own about mortgages, and perhaps raise your findings with your lender. There is however a consequence to finding a mortgage option, and applying for it without taking advice on it – this is known as an "execution-only" mortgage application. If you later find that the mortgage is not working out for you, you will ultimately have less legal protection than if you did take advice. Furthermore your lender may decide to reject you for your failing to fully understand the risks/ consequences of applying for a particular mortgage. It would be inaccurate to say that all mortgage applicants must take advice on mortgages. However it is advisable that you do so. Property details – information on the property that you are applying for a loan/ mortgage in order to buy. A lender will take all of this information, along with details on the deposit you will be able to put down on a property, in considering your application. If it deems you application to be favourable, it should issue you with a 'Decision in Principle' – this is sometimes known as an 'Agreement in Principle'. This document is an indication from the lender that in principle – it is not a guarantee – it is prepared to give you a mortgage. When you have the Decision in Principle, you may then approach the seller of the property you are interested in buying, and make an offer to purchase it. After having made your offer, you will then need to finalise your mortgage application to your lender. They will review your entire application again, including details of the property you have made a purchase offer on. If they are happy with your application, they will then approve it. You will then be able to progress to finalising the purchase of the property. If you fail to meet your obligations under the mortgage agreement, your lender will be entitled to take possession of your property and sell it to recoup the money that is owed to it. Most people are acutely aware of the legal consequences of having a mortgage, which is why they are most anxious to discharge it as soon as possible. If you find that you are not able to meet your legal obligations under your mortgage agreement i.e. you cannot keep up with repayments, you would be well advised to contact your lender as soon as possible. Refrain from taking any steps to repossess your property until all other reasonable attempts to resolve your financial difficulties have failed. Repossession is an option that is available to your lender, if you are unable to honour the repayment obligations you owe to them. However they are only allowed to pursue this course of action after they have taken steps to help you in meeting your financial obligations. Provide you with 15 working days' written notice where they plan to begin court action for your failure to honour your repayment obligations. If your lender does decide to pursue court action to repossess your property, they must give you the details of the hearing and notify your local authority within five days of being notified of the court hearing date. You should however be aware that even if your lender commences court action, you could still come to some agreement with your lender. However you will still need to attend court, and give this information to the court on the date of the hearing. Taking on a mortgage involves the bearing of important responsibilities: be clear on what these responsibilities are, and the consequences for failing to discharge them. 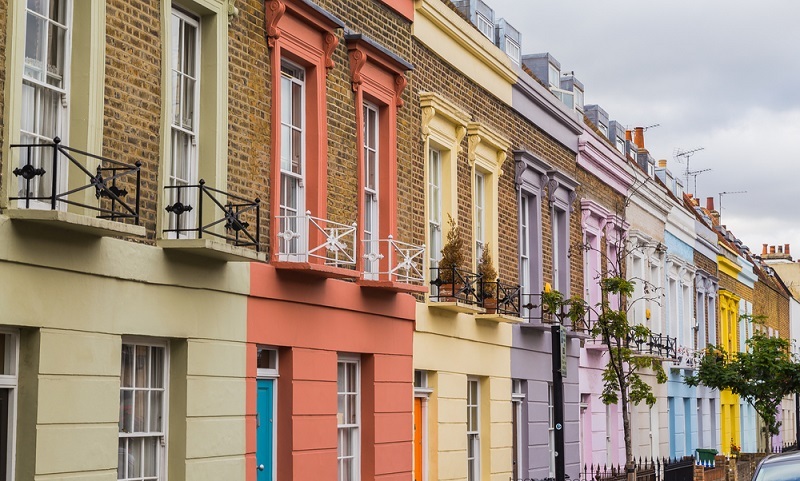 Repossession is the last option your lender can pursue where you fail to meet your mortgage repayments, and this is heavily governed by strict criteria.